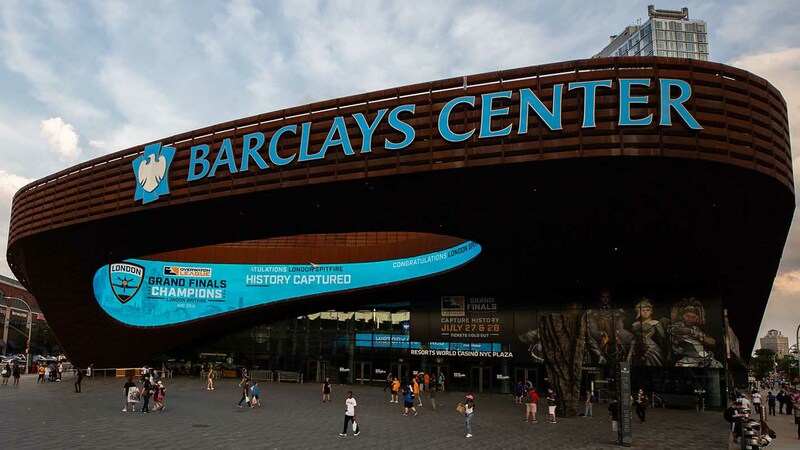 Overwatch League finals at Barclays Center in Brooklyn, NY is the most recent demonstration of the continuing growth of esports. OWL representatives informed us today that the Grand Finals drew 10.8 million viewers globally, exceeding the audience for all of the 2018 season’s opening week. We were able to take a deeper dive into esports’ trajectory with the latest report from market analyst firm, Newzoo. They’ve outlined some of their predictions for the esports economy over the next three years, while revisiting some of their predictions from 2015. Newzoo’s 2015 predictions weren’t as flighty as you’d think, either. In fact, a good number of them were spot on, some even exceeding expectations. For example, Newzoo predicted that “there will be 145 million esports enthusiasts by 2017.” According to their data, there was 143 million viewers last year, two million less than predicted. 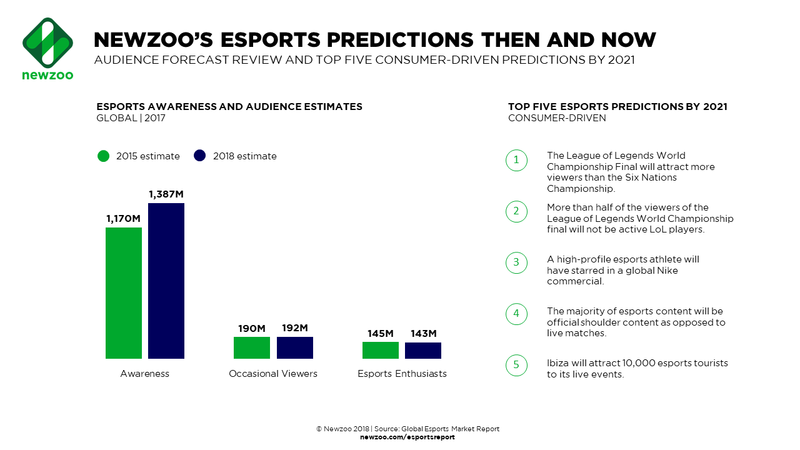 While it was two million off from its original prediction, Newzoo’s segmentation methods since its last report doesn’t include non-esports viewers who take part in games. Newzoo’s analysts anticipated that “there will be 190 million occasional esports viewers by 2017” — the numbers were even better than the firm anticipated. There was 192 million occasional viewers in 2017, the majority of which coming from China with 31.3 percent of the global figure with 60.4 million viewers, ahead of the US, which held 12.8 percent of the global market with 24.6 million viewers. “More than 1.2 billion people will be aware of esports by 2017,” Newzoo posited in 2015. 1.4 billion people are now aware of esports, according to Newzoo, 2 million more than expected and just under six percent of the entire population of the planet. They fell short with their prediction that “the number of esports fans will be higher than that of handball or American football fans [by 2017].” While ten percent of the the US online population were esports fans, that’s still lower than than the 14 percent of handball or American football fans. The biggest win for Newzoo’s 2015 predictions was in the emergence of “more accessible esports genres” and how they “will result in a bigger overall esports audience.” Thanks to the explosion of battle royale games like Fortnite and PlayerUnknown’s Battlegrounds as well as mobile esports including Clash Royale and Arena of Valor, they’ve opened up esports to a whole new audience of viewers, said Newzoo. In fact, PUBG was the fifth most watched game through esports metrics on Twitch last month, according to Newzoo data, finishing only behind League of Legends, Counter-Strike: Global Offensive, DOTA 2, and Overwatch. With four out of five predictions coming to fruition from Newzoo, while these newer predictions aren’t guarantees of success, they do hold quite a considerable bit of weight to them thanks to how they’ve actually turned out. For those who don’t know, the Six Nations is the biggest yearly rugby union tournament in the world, predominantly popular within the UK, France and Italy thanks to the inclusion of the six countries (hence the name) that make up the tournament: England, Scotland, Wales, France, Italy and current holders Ireland, with the latest edition of the tournament due to kick off next February the last before next year’s Rugby World Cup in Japan. But Newzoo says the League of Legends World Championship Finals will attract more of an audience within the next three years, noting that 34 million hours of LoL esports were watched last month alone thanks to more of a younger audience tuning in. To add a bit more context to this, figures from the 2014, 2015 and 2016 Six Nations tournaments showed a total of 125 million viewers watching live on TV two years ago - to be exact, 125,122,300 viewers for 2016 between the broadcasters of the competing nations: ITV and the BBC (UK), RTE (Ireland), France ⅔ (France), and Discovery (Italy) - and a total of 140 million viewers watching on TV and online in 2015, a 12 percent increase on the 2014 season, with an average viewing per game of around 8 million for the 2016 tournament. The firm says esports is on par with golf in terms of viewership, so it seems a given a well-known esports name will be given the same stature in a Nike ad, alongside two of the biggest names in golf. The question is who would be the one to appear? Our money would be on SK Telecom T1 LoL player Faker, as he is one the most well known esports players. The firm also said that “more than half of the viewers of the League of Legends World Championship Final will not be active players of the game.” The MOBA will celebrate its tenth birthday next year. 20 percent of LoL esports viewers don’t play the game, according to their figures, with new games on the market a contributing factor for dropping player numbers. But it says that the growth in LoL esports in particular will see a number of lapsed players will return to watch the final. With traditional sports usage of pre-and-post-show analysis and even starting to lean on other bits of programming showing a behind the scenes look at certain sports and teams - examples include Amazon’s All or Nothing series that looks at numerous sports and teams, the latest one on Manchester City’s Premier League winning campaign last season launching later this month, as well as a deal between Netflix and Formula One to offer an inside look at the ongoing season sometime next year - esports will now look ahead to offer similar content. Similar examples on an esports level include the road to the EU LCS Finals in Paris and The Dive, both for League of Legends, and ESL’s Ask the Pro series. 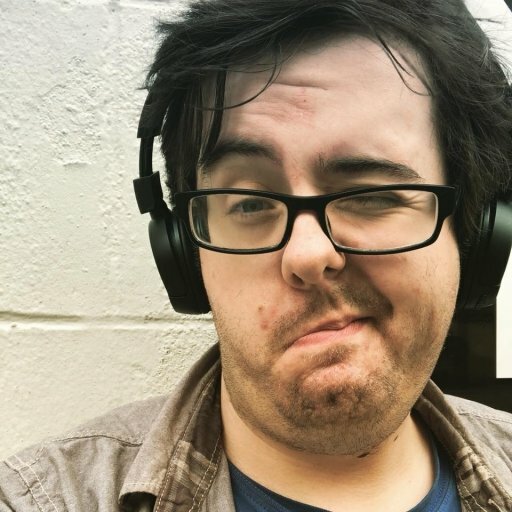 Its last major prediction is, well, if you like dance music and esports, you’re in luck. When one thinks of Ibiza, the Mediterranean archipelago off Spain’s east coast, it’s hard not to think of it as the dance/rave capital of the world. If Newzoo’s prediction says that “Ibiza will attract 10,000 esports tourists to its live events,” so Spain may be spinning itself up as a major esports attraction in the coming future. It notes that with Ibiza is a hot spot for young tourists and the growing younger demographics of esports, it will hold its own esports events. This on top of other places holding their own events and even building esports-specific stadiums, such as the esports Arena in Las Vegas and the Macau E-Stadium in Macau, not to mention the Blizzard Arena in Los Angeles for the Overwatch League. Esports will rally together more viewers than tennis in the U.S.
A quarter of the world’s population will be aware of esports. The world’s most popular esports team will have more Twitter followers than the Golden State Warriors (context: as of writing this, Golden State currently has 5.87 million followers on Twitter). The world’s 10 biggest capital cities will each have a dedicated stadium for esports. Game-streaming content will generate a total of 10 billion hours watched across major platforms. 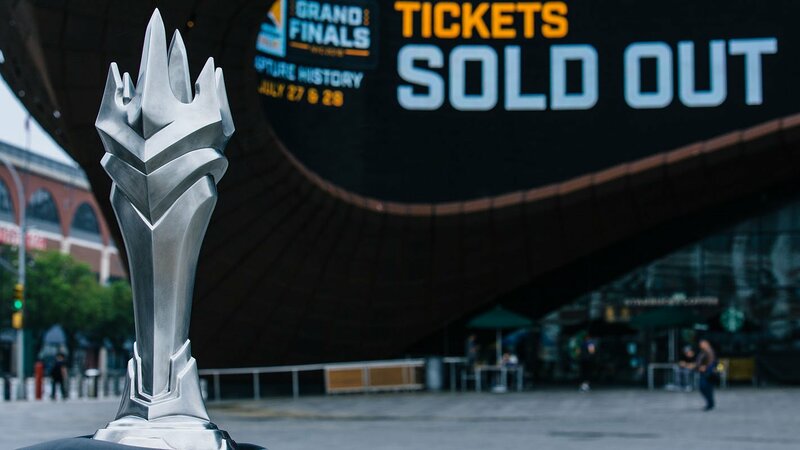 With the Barclays Center’s recent success with hosting the Overwatch League finals, the next step would be to host a similar final - Overwatch League or the League of Legends Championships - in a marquee, well known sports stadium in the west. Riot has done this already with the 2014 and 2017 LCS finals held at the Sangam World Cup Stadium in Seoul, South Korea and at the Birds Nest Stadium in Beijing, China respectively, but we asked Newzoo on whether we’d see similar finals held in western marquee stadiums. It’s clear that while some of these predictions might be ambitious, it is a signal of intent as to the significance of the worldwide popularity of esports. Newzoo’s predictions indicate that esports will continue to be the juggernaut it is, especially as it is being considered as a potential Olympic event for the 2028 Olympics in Los Angeles, with the possibility of a demonstration event at the 2024 games in Paris.